Let me start off by telling you this project is not for the faint of heart! If you have any level of OCD, do not try this! It will drive you mad! It will never be perfect and you can seriously spend hours and hours trying. What it will do is save you hundreds of dollars if you can look past the minor imperfections. A glass of wine for when you are finished….you will need it! 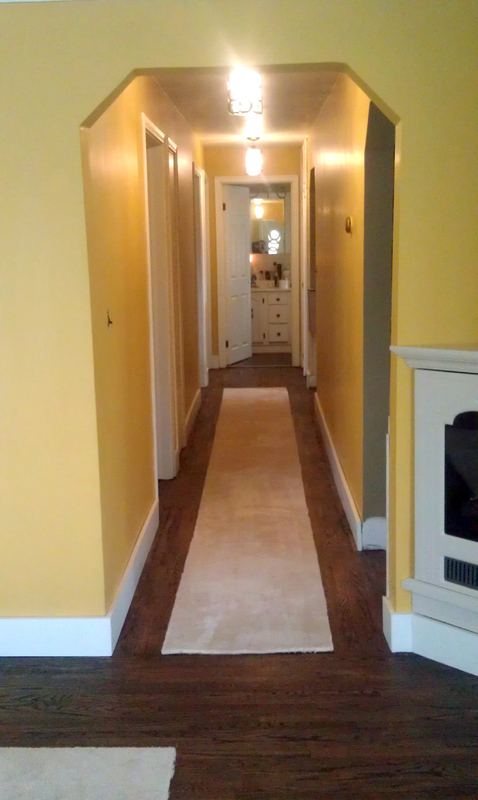 We recently underwent a huge floor refinishing project. 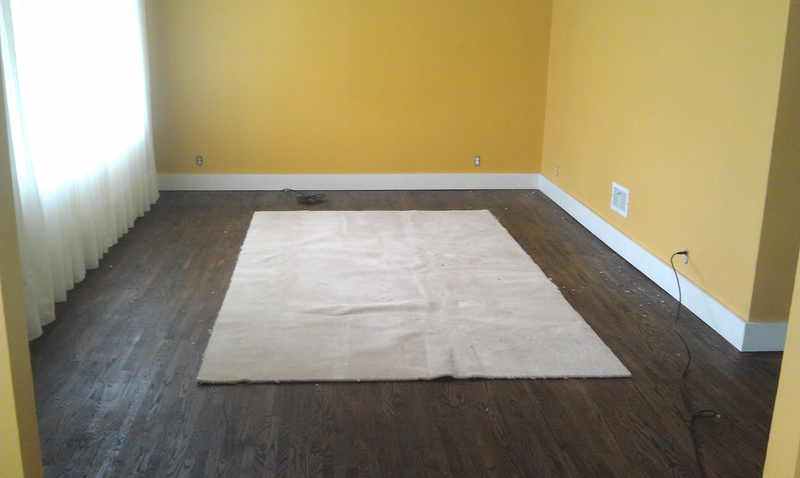 By that, I mean we ripped out old carpets, sanded and stained a floor and coated it with protective wax. There was a lot of sweat, tears and swear words that went into the project, so we want to make sure that it looks this good for a long time! 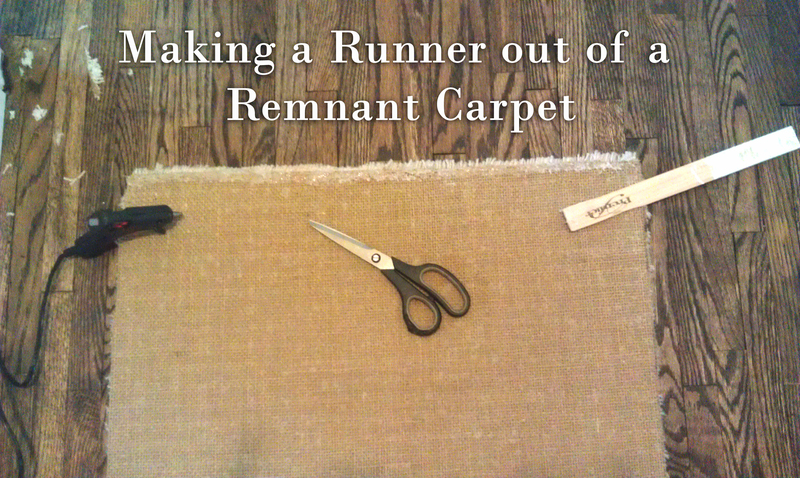 So we started pricing area rugs and a 20′ runner for our hallway….OUCH! It was so much money that we decided to get ourselves into yet another DIY project! We already had a lot of carpet remnant that we got to put into our music school teaching rooms (which we have not done yet). The colour is perfect to match our new living room/dining room and hallway so we thought we would make area rugs and a runner out of the remnant. 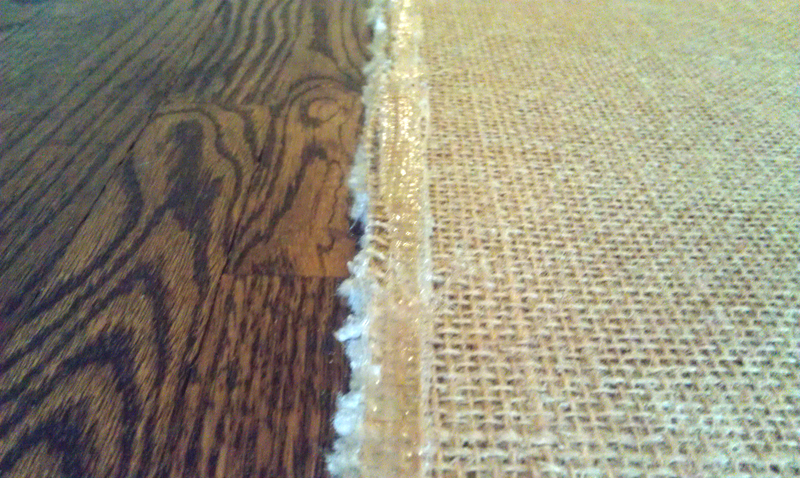 After cutting our pieces, the edges were a little uneven and fraying really bad already. We needed to stop them from fraying first before we could start to even it out. 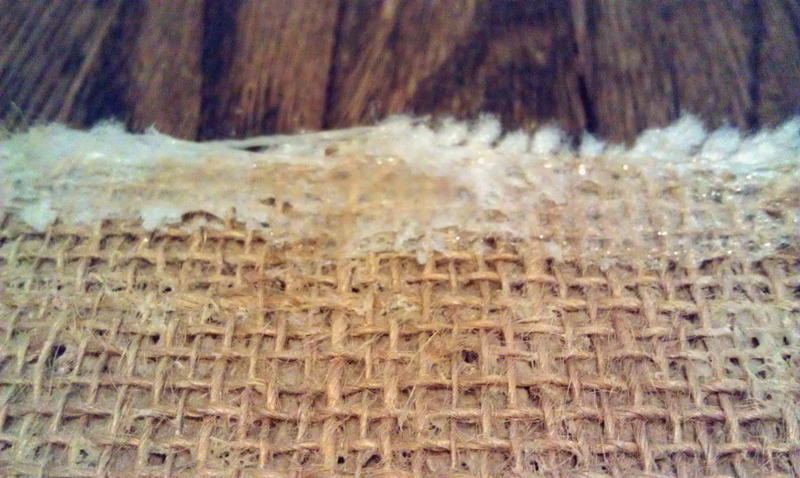 I flipped the carpet over and the bottom is like burlap. Strands weaving back and forth. If one unravels…..they all unravel!! 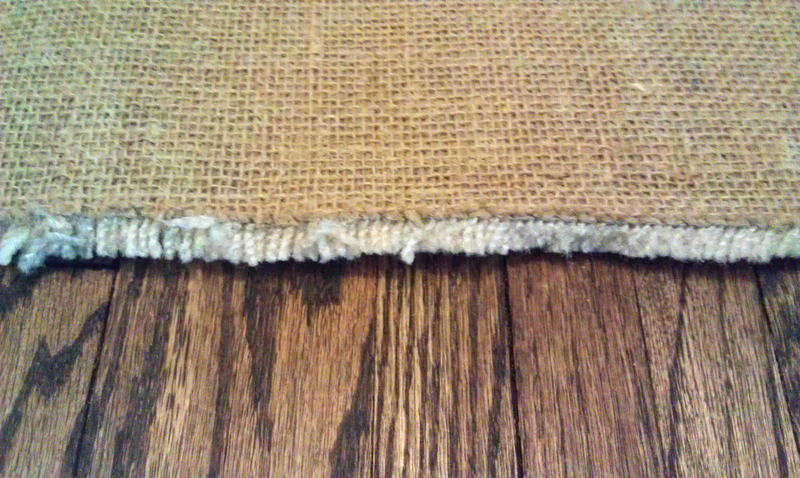 I ran some hot glue along the very edge of the burlap and used a paint stir stick to push the glue into the fabric. 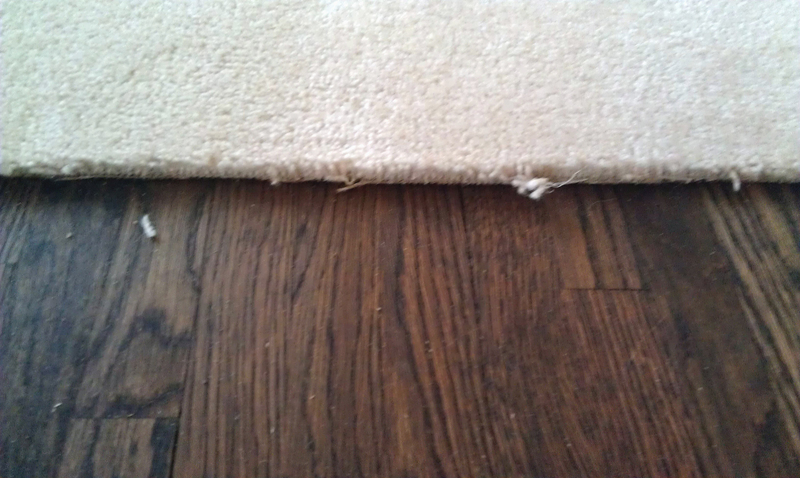 It created a nice plastic like edging to keep the carpet from fraying out. Warning….the glue will stick to your “pusher” so make sure to keep peeling it off. I tried a metal scrapper and it stuck just as bad. It took a lot of glue sticks to finish this 20 foot runner (like 20) and took me about an hour. 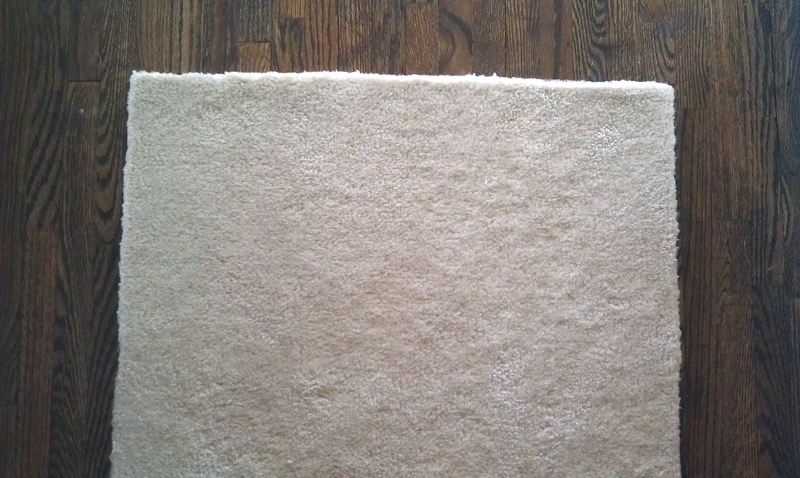 After testing it, it seemed to be holding the carpet together nicely!